David Grann is author of the best-selling 2017 book, Killers of the Flower Moon: The Osage Murders and the Birth of the FBI. The book chronicles the shocking true story of the murders of dozens of members of the Osage Nation in the 1920s—at the time the wealthiest people per capita in the world because of the oil riches they discovered beneath their rocky Oklahoma reservation. Killers of the Flower Moon is the Sarasota County Library System’s 2019 One Book. Residents are encouraged to read it and then attend several free public events being planned around it throughout the year. For event details, visit facebook.com/onebooksarasota. Grann will be in Sarasota and Venice Jan. 24 as part of the One Book program. We talked with him about his book, and what he hopes readers will come away with. How did you hear about these shocking murders? How come so few of us knew about this dark chapter in American history? Were you surprised at the book’s success? How have members of the Osage Nation reacted to the book? What do you hope readers will come away with? 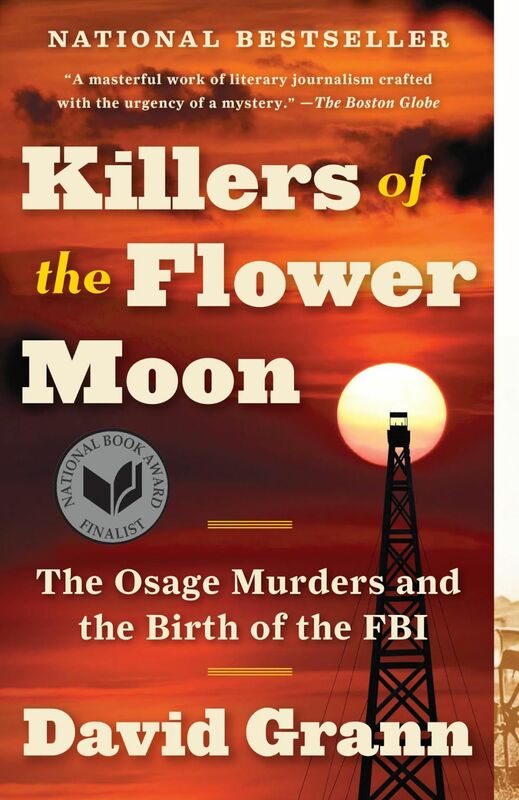 Jan. 3, 10:30 a.m. at the Selby Library Auditorium: Sara O’Donnell, a curator at the Osage Nation Historical Preservation Office in Pawhuska, Oklahoma, will present a talk on Osage history and the background for Killers of the Flower Moon. Jan. 24, 10 a.m. at Venice Theatre and 7 p.m. at the Sarasota Municipal Auditorium: Author David Grann will speak about his best-selling book. Both talks are free; register here. *More events, including a Reader’s Theater performance by the Asolo Rep and photographic exhibits at area libraries, will be announced throughout 2019. For updates, visit facebook.com/onebooksarasota.